It is projected to last for more than 100 minutes, and begins Friday July 27. The longest lunar eclipse of the century will be an incredible sight for a good part of the world, and the penumbra and umbra (partial and total eclipse) will be cast to mostly the Middle East, south and eastern Africa, western and southeast Asia, and finally India. Image by Piruliton, Creative Commons licensed. Alas, none of it will be visible in North America. You can, however, watch it as it happens, online at several locations: TimeAndDate.com has one, as does the Virtual Telescope Project. If you’re planning to watch it online it begins at 1:14 p.m. ET, and maximum totality, or the blood moon, begins at 04:21 p.m. ET. 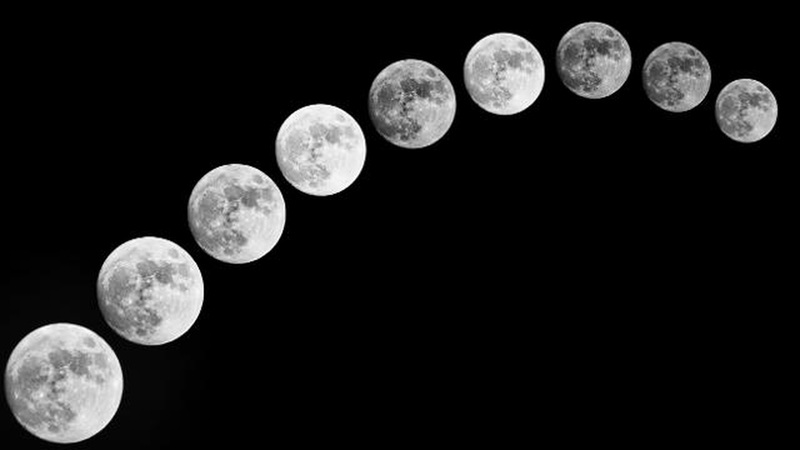 In total, the full lunar eclipse will last one hour and 42 minutes, the longest it will be this century. The moon will turn into a dark glowing red disc, which is from the sun’s rays passing through Earth’s atmosphere and being filtered by it. That color is where the term “blood moon” comes from. Here’s an image captured in 2014 when that happened; if you have even decent photographic equipment, you can do the same. Image by author, captured Oct. 7, 2014, Jackson, MI. The next shot at seeing a total lunar eclipse, though not as long as this one, will be January 21, 2019; it will be a super moon, just like this one, which is a full moon or new moon that is at its closest point to the Earth in its orbit. There’s also a partial lunar eclipse in July of 2019 in the United States.